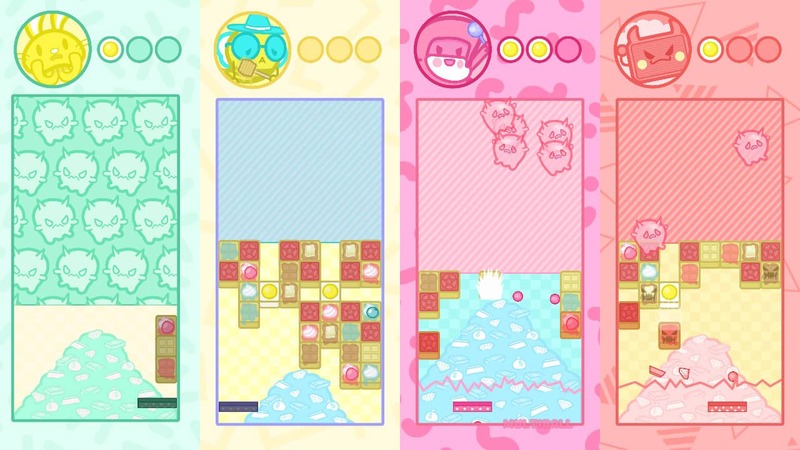 Lucid Sheep Games has announced that #Breakforcist Battle will release on Nintendo Switch, their breakfast and exorcism-themed waffle-busting game. You must use your magic paddle and ball to rescue breakfast in classic brick-breaking gameplay, with the chance to work with a friend in cooperative play or to challenge up to three players in an all-new competitive battle mode. With an original EDM soundtrack with tracks such as Waffle Love and Brunch My Body, you must work to clear waves quickly to win rounds while launching attack powerups at your enemies. With one-handed gameplay, you can even play while eating your breakfast, and there’s also the chance to use a tilt control option to remove the need for buttons. #Breakforcist Battle will release on the Nintendo eShop for Nintendo Switch worldwide on April 12th.